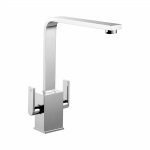 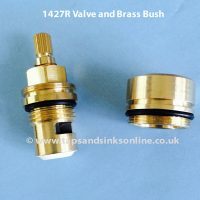 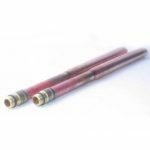 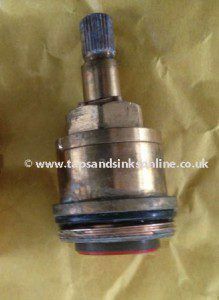 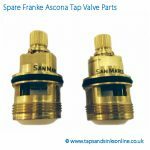 SP1427 Kitchen Tap Valve (previously listed as 1427R and is the same valve) is a Quarter turn Tap Valves for Hot Water or Cold Water side of many UK Kitchen Taps. 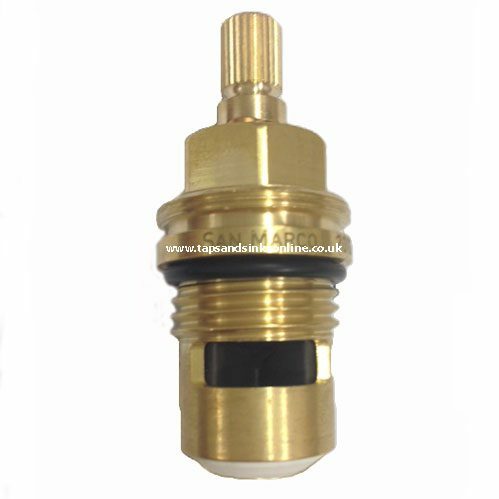 The Cold valve opens clockwise. The Hot Valve opens anti-clockwise. 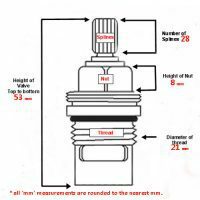 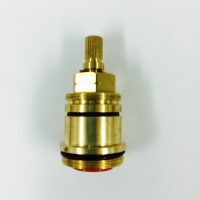 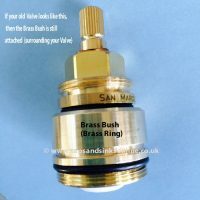 Brass Bush: If your Valve looks different (wider) than ours, it is most likely that you have removed the part that surrounds the Valve known as the Brass Bush. 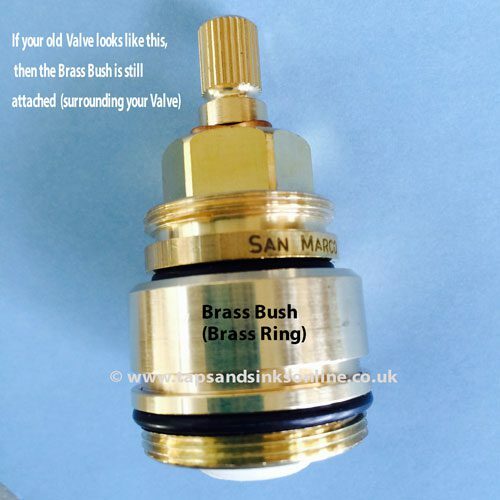 Please see below for more information on Brass Bush (separate product) before you order your Valve. 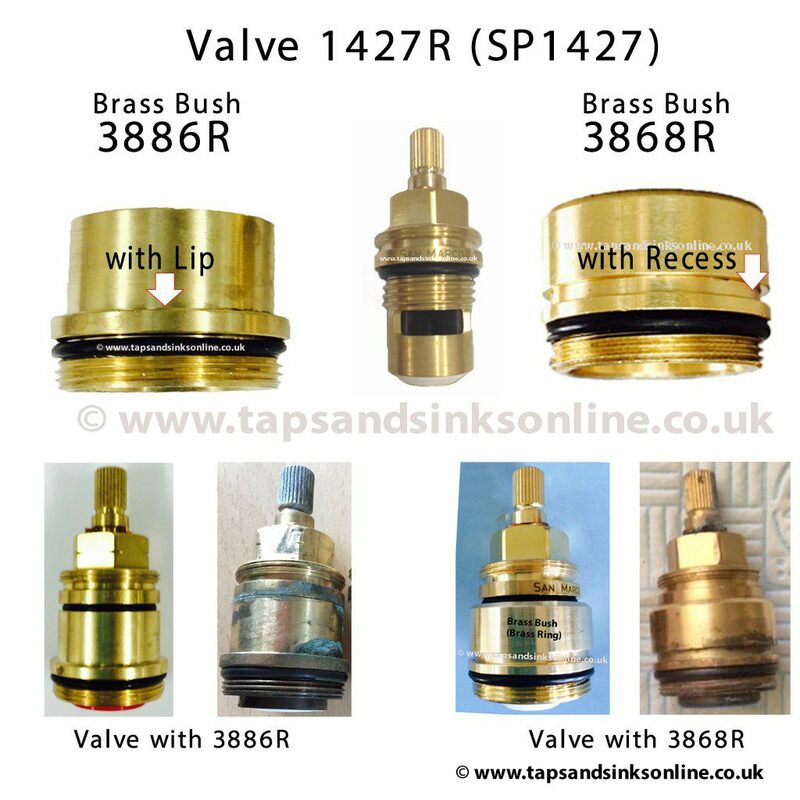 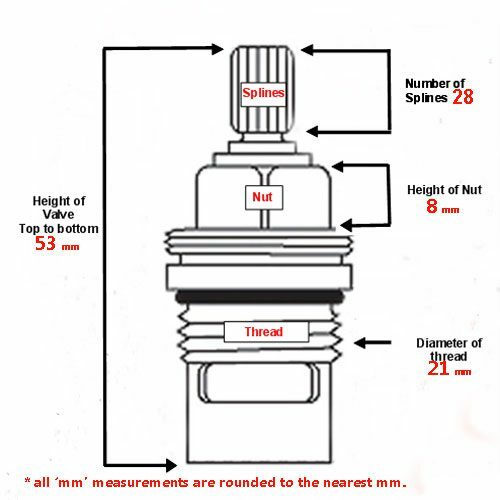 Please note that there are two common Brass Bushes used with this Valve: 3886R with Lip and 3868R with Recess. 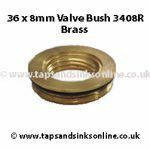 If you require a Brass Bush you will have to order separately. 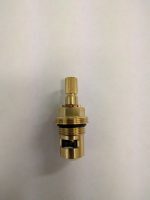 It does not come with the Valve. 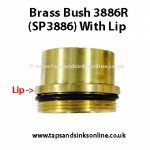 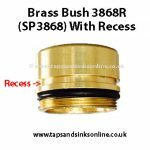 If you need to buy any of the Brass Bushes mentioned here, you can do so by choosing any of them down below, in ‘You may also like…’ section.